Fantastic brand NEW DR Horton home! Beautiful 1.5 story property! Wide open spaces, large rooms, volume ceilings and functional layout are just a few terms to describe this wonderful home! This beauty features an open concept floor plan! 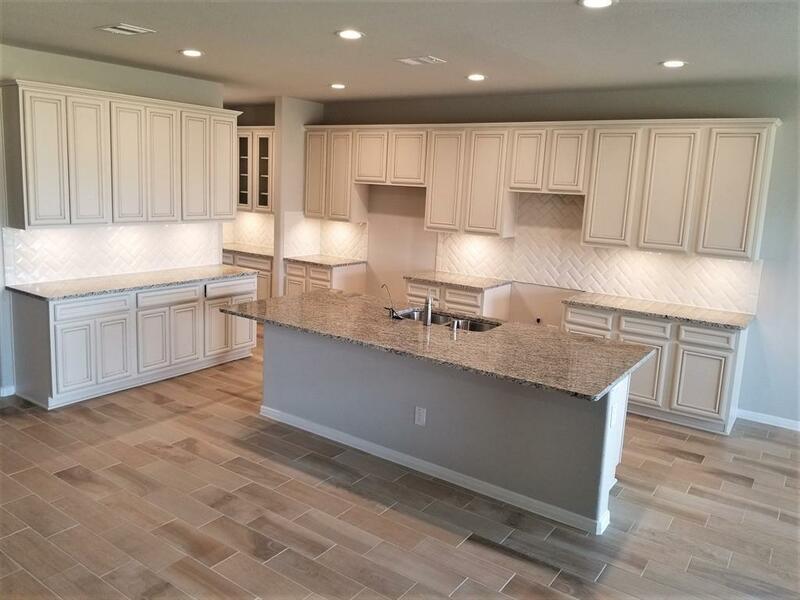 Fabulous kitchen with granite countertops and 42" cabinets, stainless steel appliances by Frigidare, and so much more! The large master bedroom, big walk-in closet, and spa like master bath offers the privacy you are looking for! Sizeable secondary bedrooms with walk in closets! A huge game room and extra ample bedroom with a full bath on the second-floor! Tankless water heater, sprinkler system, landscape package, and so much more all included! With all these amenities, this plan is sure to be the one for you. Fosters Ridge is zoned to The Woodlands schools! Hurry and call today! You do not want to miss this one!